I didn't think I'd like these. I mean for real, this looks like kid heaven (peeps are gross). Wrong! 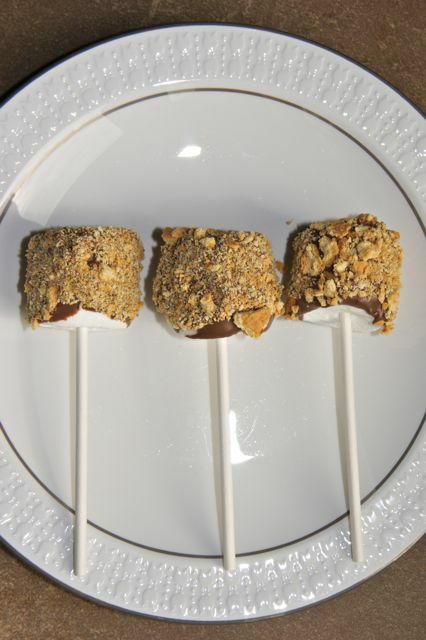 Sure you can eat them right after you dip them, the chocolate still warm, fondue like. 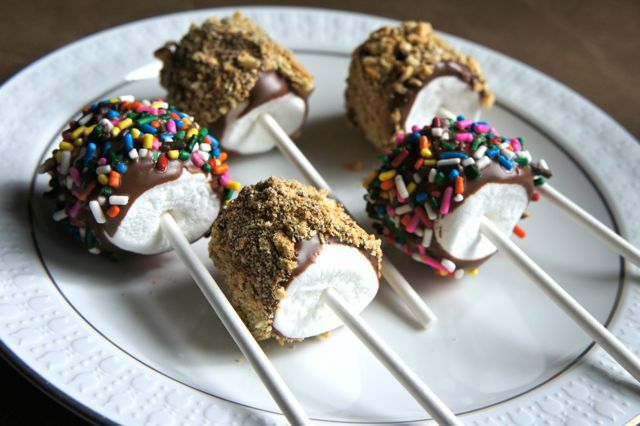 However, I let these set up and the crunch of the chocolate on the marshmallows was perfect. 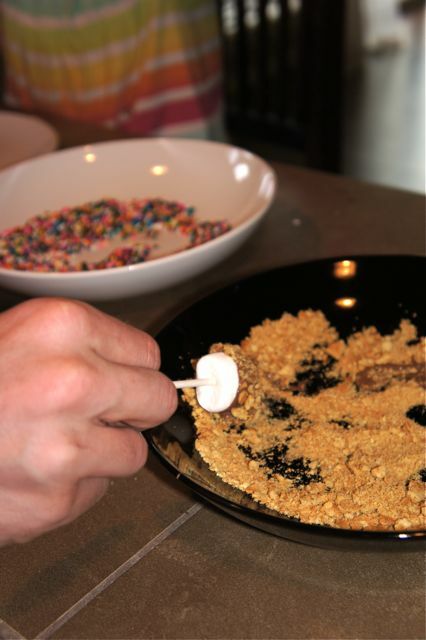 So if you're in the mood for smores without the mess...you have to try the ones rolled in crushed graham crackers. The kids loved them all. I found the idea from Whimsical Creations. *Quote from my 5-year-old: "Mom, I love chocolate. If I see chocolate, I just have to eat it." I know exactly how he feels. Oh yum! These look AMAZING! What a genius idea!